First off, I am so thankful that it is Friday! This weekend could not get here soon enough. Today has been an interesting one thus far. I have been such a klutz (two lumps on my head to back up that statement) and I can’t seem to focus on anything. Despite my injuries and daydreamer status, the routine has been the same as always. Woke up almost on time (woo-hoo!) and laced up my shoes for an easy 4 miles @ 9:17 avg pace, but it was more like 2 slooooow miles and 2 speedy ones. My legs were taking their good old time warming up. 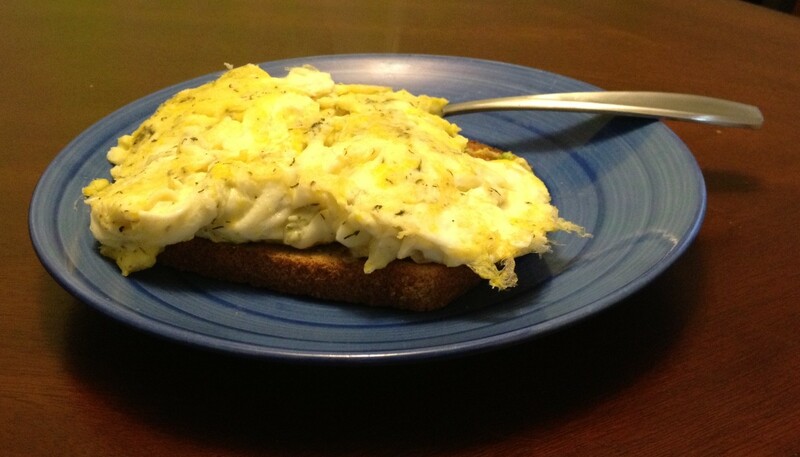 Whole wheat toast covered with a mashed 1/4 of an avocado topped with an egg + lots of egg whites scramble with a hint of dill. Washed down with 1.5 cups of coffee. 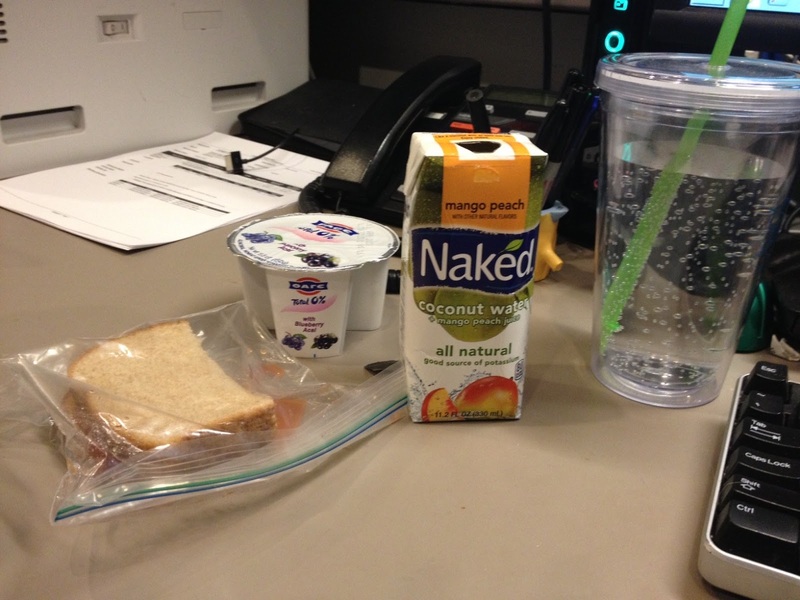 PB2&J sandwich (though most of the J magically slid off, so it was more like “soggy PB2 sandwich with a puddle of J on the side”), Fage 0% with Blueberry Acai, Naked Coconut Water + Mango Peach Puree (I’m addicted to these) and lots of water. We’ve got visitors coming into town tomorrow so tonight will probably be all about preparing for that- grocery shopping, house cleaning, and checking out what local events are happening this weekend. I really love playing hostess, giving the spare room some hotel touches (chocolates on the pillow are always appreciate), having food + drink I know my friends enjoy, buying new candles, etc. so I’ll have plenty of fun tonight. Hope everyone else has a lovely Friday as well!